Seed World magazine ran an article last December that contained some pretty startling statistics. The author, Shannon Shindel, stated the facts, “at LEAST 80% of the worlds crop species require pollination with an estimated one out of every three bites of food coming to us through the work of animal pollinators which includes birds, bees, butterflies, bats and beetles that transfer pollen between plants… the declines in health and population of pollinators in North America and globally pose a significant threat to biodiversity, the food chain and human health”. We can try to provide food, shelter and a water source for these hard workers and eliminate pesticide use if at all possible. In our garden we haven’t put one drop of chemical in or around our garden and yes there are pest galore but also an amazing amount of Beneficial’s that are helping to maintain a balance. 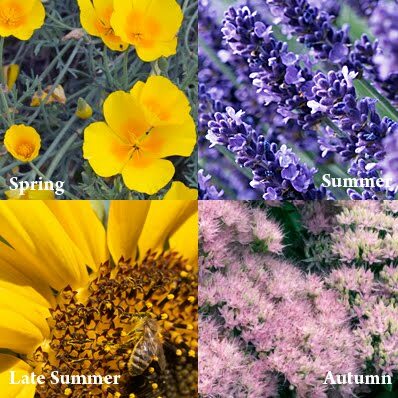 The Pollinator Partnership with NAPPC have a wonderful website that gives great tips and if you enter your zip code it provides you with your own personal full color guide specifically tailored to your region. 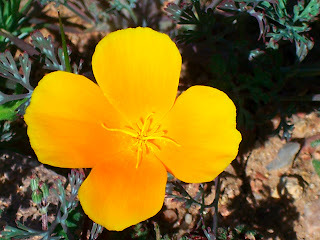 Some of the many plants they suggest for San Diego’s Coastal Chaparral include; Yarrow, Milkweed, California Poppy, Sunflowers, Roses, Lavender, Blueberry, Eggplant, Strawberry, Geranium, Watermelon, Squash and Tomatoes. Also check out UC Berkley’s easy to read and understand guide to the Urban Bee Garden. The annual lawnmower trade in is back for the 11th year in a row. My sister and I participated 4 years ago and we love our Black & Decker battery rechargeable mower. On May 1st take your old, gas powered lawn mower in working condition down to the County building on 1600 Pacific Highway. Turn in your mower and get a brand new zero emission model for $99.99! They start at 8am but we got there at 7:30 and there was over 250 people already in line around the block. Four years ago they only had 350 available but I hear they will have more this year. Call 619-531-5544 for more info. Ecolife is a local foundation that is truly inspiring. They will be featured on the CBS evening news tonight. The San Diego Surfrider chapter is sponsoring an ocean friendly garden course just in time for spring planting. Their main focus is conservation, retention and permeability. The course consists of three components; the basic course which is on 4/7/10 from 6-9pm, a hands on workshop and the garden assistance program. The retention part seems particularly interesting as rainwater capture has been a to-do list item for years. All three classes and an ofg book is only $25.00, pretty amazing! Our dislike for the effects of sow bugs, cutworms and caterpillars on our garden is being severely tested against my love for bees and their pollinating abilities. We have been recommended Spinosad left, right and center to tackle our common pest problems and when I see a list of all the pests it eradicates I must admit I get very excited. Unfortunately the product container fails to mention it’s disastrous effect on bees. We have been told probably like everyone else to avoid the flowers, standing water and use the pellet formulation and the bees will be fine. If anyone has read Silent Spring by Rachel Carson then you probably know that it’s very rare that any form of pesticide doesn’t have far reaching effects. We cannot, attempting to be truly organic gardeners, fool ourselves into believing that Spinosad absorbed into the soil, through the roots and into the plant is not going to negatively effect the bees. 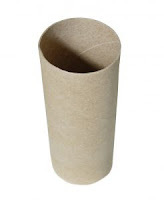 For now we will have to put all our faith into the toilet paper roll jackets that are surrounding each seedling. Where are your seeds coming from? Seeds of Change = owned by Mars Inc. This is not to say that any of the above mentioned companies are bad or good, it’s just a reminder to choose seeds and seedlings from like minded companies. The Desiree Red Potatoes were ready to be planted today after sitting out for two weeks and we labored over whether to cut the larger potatoes before planting. Many garden books advise you to cut the potatoes and roll them in root tone or soil sulfur and then plant. This way you get more out of what you plant even though some research indicates bigger harvest when they aren’t cut. I talked to the professionals at two different local nurseries and both advised against the cut. They explained that San Diego soil already has high alkalinity and you’re inviting mildew and fungus when you cut. We decided not to cut and 5 went in the ground today. Seed Savers recommended digging a 6″ trench and burying them sprout up under 4″ of soil. As the plants grow they recommend covering them with soil until you have a mound. As soon as I have mounds I will post a new picture. or Paul Maschka – 760.419.9453 as an alternative to extermination. I realized today that we really had a problem when it dawned on me that I was so familiar with these pest that I no longer had issues with picking them up with my bare hands. These beetle larvae better known to us as White Grubs can be found in every one of our raised beds. I have attempted to thwart them with the equally as gross Predatory Nematodes, however I’m now ready to relinquish my false sense of having the upper hand. Although research is still being done to determine levels of effectiveness, Pat Welsh recommended Milky Spore Disease at yesterdays seminar. I did a little bit of research and came across an article where Dr. Klein, Adjunct Professor of Entomology enlightened me about “Milky Disease” a natural occurring organism found in soil. 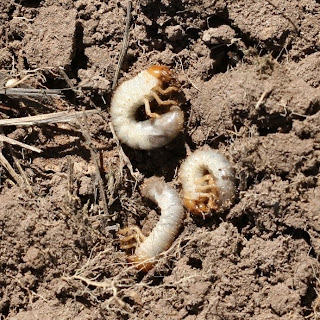 For Milky Disease to be effective in getting rid of the White Grubs your soil needs to be above 65 degrees and the grub has to be actively feeding in order to ingest it. Which is why Dr. Klein recommends that you apply it in the summer or early fall. Also Milky Disease only needs to be applied once and don’t worry it only effects the White Grubs. For those of you eager to get rid of the Spring grubs you’re supporting keep in mind that they are entering the last stages of metamorphosis and will be taking flight soon in order to initiate airborne attacks.